We can only hope that world leaders will do nothing more than enjoy a pleasant bicycle ride around the charming streets of Copenhagen come December. For if they actually manage to wring out an agreement based on the current draft text of the Copenhagen climate-change treaty, the world is in for some nasty surprises. Draft text, you say? If you haven't heard about it, that's because none of our otherwise talkative political leaders have bothered to tell us what the drafters have already cobbled together for leaders to consider. And neither have the media. To be sure, countries that sign international treaties always cede powers to a U.N. body responsible for implementing treaty obligations. But the difference is that this treaty appears to have been subject to unusual attempts to conceal its convoluted contents. And apart from the difficulty of trying to decipher the U.N. verbiage, there are plenty of draft clauses described as "alternatives" and "options" that should raise the ire of free and democratic countries concerned about preserving their sovereignty. Lord Monckton himself only became aware of the extraordinary powers to be vested in this new world government when a friend found an obscure U.N. Web site and searched through several layers of hyperlinks before discovering a document that isn't even called the draft "treaty." Instead, it's labelled a "Note by the Secretariat." Interviewed by broadcaster Alan Jones on Sydney radio Monday, Lord Monckton said "this is the first time I've ever seen any transnational treaty referring to a new body to be set up under that treaty as a 'government.' But it's the powers that are going to be given to this entirely unelected government that are so frightening." He added: "The sheer ambition of this new world government is enormous right from the start—that's even before it starts accreting powers to itself in the way that these entities inevitably always do." Critics have admonished Lord Monckton for his colorful language. He has certainly been vigorous. In his exposé of the draft Copenhagen treaty in St. Paul, he warned Americans that "in the next few weeks, unless you stop it, your president will sign your freedom, your democracy and your prosperity away forever." Yet his critics fail to deal with the substance of what he says. Janos Pasztor, director of the Secretary-General's Climate Change Support Team, told reporters in New York Monday that with the U.S. Congress yet to pass a climate-change bill, a global climate-change treaty is now an unlikely outcome in Copenhagen. Let's hope he is right. And thank you, America. The man who challenged Al Gore to a debate is furious about the content of the leaked CRU emails — and says why you should be, too. I wonder if we should keep the stolen email story and the Cppenhagen Meeting all in one thread for easy reference..
A few weeks ago, hackers broke into the emails of one of the Climate Research Unit of The University of East Anglia, and climate skeptics have been having a field day making mountains out of molehills about what the emails contain. The verdict on global warming is in -- it's caused by humans and it is happening and nothing in the emails remotely challenges that. 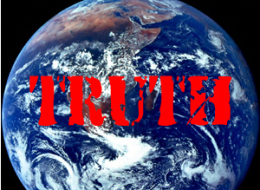 However, with the internet abuzz about what has been labeled "ClimateGate," we thought we should set the record straight about the rumors, lies and insinuations about what the emails actually contain -- and what they "prove" about climate change. "ClimateGate" itself is a misnomer, the nickname should be "SwiftHack" for the way people with political agendas have "swiftboated" the global warming reality. As world attention turns to the climate conference in Copenhagen this December, this email hack acts as a distraction from the huge task at hand of getting world leaders to commit to reduce greenhouse gas emissions. As professor Richard Somerville says, "We're facing an effort by special interests who are trying to confuse the public." Check out our slideshow and pick what you think the most dangerous lie that is being spread by skeptics about the emails. CLAIM: Scientists have manipulated data. Skeptics have been pointing to an email from scientist Phil Jones where he said he used a "trick" with his data. As climate expert Bob Ward writes, "Scientists say 'trick' not just to mean deception. They mean it as a clever way of doing something -- a short cut can be a trick." RealClimate also explained that "the 'trick' is just to plot the instrumental records along with reconstruction so that the context of the recent warming is clear. Scientists often use the term 'trick' to refer to ... 'a good way to deal with a problem', rather than something that is 'secret', and so there is nothing problematic in this at all." Is thsi true or just more bunk? COPENHAGEN — Climate campaigner Al Gore has canceled a lecture he was supposed to deliver in Copenhagen. The former vice president and Nobel Peace Prize winner had been scheduled to speak to more than 3,000 people at a Dec. 16 event hosted by the Berlingske Tidende newspaper group. Gore spokeswoman Kalee Kreider says the decision was made because of "all the events going on with the summit." Dec. 16 is a key date for the meeting because that's when the ministerial segment starts. Chief editor Lisbeth Knudsen says it's a "great disappointment" that Gore canceled and that all tickets will be refunded. COPENHAGEN — The world is entering talks on a new climate pact with unprecendented unity and leaders must seize the moment to create a turning point in the battle against global warming, the U.N.'s top climate official said Sunday. At a news conference, Yvo de Boer called on the 192 nations represented at the U.N. climate summit starting Monday "to deliver a strong and long-term response to the challenge of climate change." "This correspondence looks very bad," de Boer said, but noted that the matter was being investigeted by the university, police and the head of the U.N.'s expert panel on climate change. He also defended the research – reviewed by some 2,500 scientists – that shows man has fueled global warming by burning fossil fuels. Here is where the danger lies; a legal agreement among countries that sign the Copenhagen Treaty next year would also have "enforcement mechanisms". IOW, if a country does not comply with the targets it is assigned, they will be "forced" to comply. That country's sovereignty will be caput - non existent. This is what the plan is, though they wanted it this year, but will have to wait now until next year for binding agreements. When asked about the recent Environment Protection Agency's endangerment finding of CO2, Senator Webb told the Washington Times and others today on Capitol Hill, "I think we need to go back and look at the Supreme Court decision in which the EPA asserts that it has that authority, because it is a derived power based on legislation, and it is a limited power. I don't think the administration can agree to anything, for instance, in Copenhagen on an endagerment finding that was based on one piece legislation in a Supreme Court decision." I would like to express my concern regarding reports that the Administration may believe it has the unilateral power to commit the government of the United States to certain standards that may be agreed upon at the upcoming United Nations Framework Convention on Climate Change Conference of Parties 15 in Copenhagen, Denmark. The phrase “politically binding” has been used. Although details have not been made available, recent statements by Special Envoy on Climate Change Todd Stern indicate that negotiators may be intending to commit the United States to a nationwide emission reduction program. As you well know from your time in the Senate, only specific legislation agreed upon in the Congress, or a treaty ratified by the Senate, could actually create such a commitment on behalf of our country. I would very much appreciate having this matter clarified in advance of the Copenhagen meetings. Senator Webb's office told the Washington Times Water Cooler the president has not replied back in writing, and the decision to write the president a letter on this issue comes from Mr. Webb's concern about issues of constitutional checks and balances. My local paper states that the EPA doesn't need congress approval to implement standards that will cost America's industry billions of dollars. Expect your electric bill to go up by $1,000 or higher at years (2010 or 2011) end if this cap and trade goes through. Also expect more industry to head to China, who will not agree to these standards, since electricity for production will be cheaper there. Also, these plans have been produced and laid out for years so "Climategate" will not stop them. "Climategate" will only show how steadfast these politicians are with securing more power and taxation without representation. Then I suggest you use $2000 less electricity and you'll be way ahead of the curve. Isn't that the point? BRUSSELS — EU leaders say they have agreed to commit euro2.4 billion ($3.6 billion) a year until 2012 to help poorer countries combat global warming. French President Nicolas Sarkozy says the offer "puts Europe in a leadership role in Copenhagen." All 27 members of the European Union agreed on the figure after two days of difficult talks at a summit in Brussels. Sarkozy also said Friday the leaders agreed to reduce their emissions by 30 percent of 1990 levels by 2020. In the past EU leaders have pledged a 20 percent cut with an option to cut to 30 percent if other parts of the world will make the same kind of contribution. The climate money is meant to go toward a global $10 billion annual fund for short-term help to poor countries. 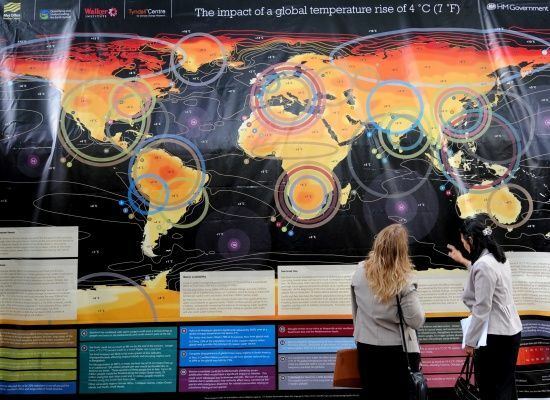 BRUSSELS (AP) — EU nations will commit more than euro2 billion ($3 billion) a year to help poorer countries combat global warming, the leaders of Britain and France said Friday as they sought to bolster climate talks in Copenhagen. Britain's Gordon Brown and France's Nicolas Sarkozy said their two countries would contribute most of that sum and were trying to get smaller members of the 27-state European Union to pitch in more at an EU summit in Brussels ending Friday. EU leaders failed Thursday to come up with a firm figure for the fund, an embarrassing setback for a bloc that was long at the forefront of the fight against global warming. Smaller eastern EU states are reluctant to donate as they struggle with government debt and rising unemployment in the wake of the financial crisis. He said the Copenhagen talks should pave the way to an ambitious and legally binding global treaty within six months. The money would help poorer countries build coastal protection, modify or shift crops threatened by drought, build water supplies and irrigation systems, preserve forests, improve health care to deal with diseases spread by warming, and move from fossil fuel to low-carbon energy systems, such as solar and wind power. Brown said Britain had increased earlier pledges to 1.2 billion pounds ($1.95 billion) over the next three years, but left the possibility open of increasing that to 1.5 billion pounds ($2.44 billion) if need be at the climate change talks next week. France will contribute euro1.26 billion ($1.85 billion) over the next three years but it was unclear whether it could go higher at Copenhagen. Germany, the most powerful economy in the EU, has not given any specific figure but is expected to pay about 20 percent of the EU total. The $10 billion-a-year in short-term funds pales in comparison to the huge stimulus packages and bank bailouts paid by many governments in the wake of the global financial meltdown. But those economic woes are a big reason why many in Europe are reluctant to pay in even to a small global climate fund. Brown said Europe will also pay its "fair share" of the much heavier long-term costs, estimated up to $100 billion a year after 2020. Brown and Sarkozy also said they were hoping to get all EU members to agree to reducing carbon emissions by 30 percent from 1990 levels by 2020. At Thursday's talks, 17 of the EU's 27 members came up with offers of money for the short-term fund but came up short of the targets leaders were seeking. Activists accused EU leaders of ceding their leadership role. On Friday, the leaders will also discuss the West's nuclear standoff with Iran and Tehran's violent suppression of pro-democracy protests, and pledge support for President Barack Obama's plans to send more troops to Afghanistan. Tens of thousands of protesters marched through the chilly Danish capital and 600 were detained Saturday, in a mass rally to demand an ambitious global climate pact just as talks hit a snag over rich nations' demands on China and other emerging economies. Swedish Environment Minister Andreas Carlgren, representing the 27-nation EU, told reporter that "there has been a growing understanding that there must be commitments to actions by emerging economies as well." "National interest trumps everything else," Ramesh told reporter. "Whatever I have to do, I've said in my Parliament. We'll engage them (the U.S. and China). I'm not here to make new offers." The key decision on preventing catastrophic climate change will be delayed for up to six years if the Copenhagen summit delivers a compromise deal which ignores advice from the UN’s science body. The Times has learnt that negotiators from developed countries are planning to use the idea of a review to justify failing to agree the 25-40 per cent cut in the 1990 level of emissions by 2020, recommended by the IPCC. Even the most ambitious provisional offers made by all the countries amount to a reduction of only 18 per cent. Tony Blair, the former Prime Minister, said leaders would be unable to deliver a deal in line with what the IPCC had recommended. In an interview yesterday with The Times in Copenhagen, he said: “It would be a big mistake if we failed to get an agreement because we didn’t meet the highest expectations people have. “Get the agreement, get it under way, and then understand you will inevitably have to change and adjust as you proceed. A joint report by Mr Blair’s office and the Climate Group, an environmental body backed by some of the world’s biggest companies, including BP, HSBC and Google, said that, even if all the provisional offers were delivered, emissions of CO2 in 2020 would still be 5 billion tonnes higher than the atmosphere could safely accommodate. This would mean that global temperature would rise more than 2C above pre-industrial levels, with the result that large parts of the world would become uninhabitable. The joint report, published yesterday, proposed a review of targets in 2015 to allow “scaling up of ambition”. Countries are unlikely to improve on their provisional offers over the next five days, because the US has made clear it will not be raising its own relatively weak provisional target for cutting emissions. President Obama has offered to cut US emissions by 4 per cent on 1990 levels by 2020, subject to approval by the US Congress. The EU has committed to a 20 per cent cut over the same time scale, but said it would raise this to 30 per cent if other countries made comparable efforts. Mr Blair discussed Mr Obama’s offer last week with Todd Stern, the US chief climate negotiator, and agreed that the focus should be on accelerating US emissions cuts in the decade after 2020 rather than before. “The important thing is to give a clear direction out of this conference. Don’t fixate on the precise percentage,” he said. A source close to Britain’s negotiating team said Britain would continue to press publicly for a deal in line with the IPCC’s recommendation, but acknowledged that the targets emerging from the summit would need to be reconsidered at a later date. Bernarditas Muller, lead negotiator for the G77 and China group of developing countries, said putting off the most difficult decisions on emissions cuts would be a betrayal of commitments made by rich countries under the UN Climate Convention. Smaller developing countries were excluded yesterday from a meeting in Copenhagen of environment ministers from about 40 countries. Ed Miliband, the Energy and Climate Change Secretary, said after the meeting: “We’re now getting close to midnight in this negotiation and we need to act like it. The Prince of Wales will address the summit tomorrow and Gordon Brown will meet other leaders in Copenhagen on Wednesday. About 120 Prime Ministers and Presidents will attend the final day of the summit on Friday. According to the free speech bastion “China Daily – China’s Global Newspaper” worldwide population control is the key to striking a deal on a global-warming treaty. Ah…Copenhagen. I’m sure the Danes are proud of their global-warming summit, but the rhetoric is getting pretty scary. As I pointed out a couple days ago, every living human is a veritable CO2 factory. Folks like China’s dictators, and Obama’s science advisor John Holdren, see that as a problem we can fix with forced sterilization, forced abortion, and governments who confiscate children. For years, China has had stringent laws in place aimed at reducing the population growth by limiting the number or children a family can have, and aborting pregnancies that would result in the birth of more girls. Unfortunately, the “benefits” provided by the draconian measures seem to be minimal at best, since despite them, China is still the world’s number one polluter. So, just to sum up, the world’s most polluting nation wants to limit the number of kids youhave, Obama’s science advisor has a plan to help with that, and if you want twins, you’d better hurry the hell up. The world has no intention of indulging your selfish, planet-destroying, multi-child wishes. Second dumb question of the day - why are China and India still considered "developing countries?" Ya kidding me? COPENHAGEN - China, India and other developing nations blocked U.N. climate talks on Monday, bringing negotiations to a halt with their demand that rich countries discuss much deeper cuts in their greenhouse gas emissions. Representatives from developing countries — a bloc of 135 nations — said they refused to participate in any working groups at the 192-nation summit until the issue was resolved. The dispute came as the conference entered its second week, and only days before over 100 world leaders, including President Barack Obama, were scheduled to arrive in Copenhagen. "Nothing is happening at this moment," Zia Hoque Mukta, a delegate from Bangladesh, told The Associated Press. He said developing countries have demanded that conference president Connie Hedegaard bring the industrial nations' emissions targets to the top of the agenda before talks can resume. Poor countries, supported by China, say Hedegaard had raised suspicion that the conference was likely to kill the 1997 Kyoto Protocol, which limited carbon emissions by wealthy countries and imposed penalties for failing to meet those targets. Poor countries want to extend that treaty because it commits rich nations to emissions cuts but doesn't make any legally binding requirements on developing countries. The United States would never support that, since it balked at signing Kyoto in the first place over concerns that China, India and other major greenhouse gas emitters were not required to take action. "Trust is a major issue. We have lost faith," in Hedegaard, Mukta said. An African delegate said developing countries decided to block the negotiations at a meeting hours before the conference was to resume. He was speaking on condition of anonymity because the meeting was held behind closed doors. He said applause broke out every time China, India or another country supported the proposal to stall the talks. U.N. climate chief Yvo De Boer said Hedegaard was holding informal consultations with delegates "to get things going." British Prime Minister Gordon Brown's office said he would arrive in Copenhagen on Tuesday — two days earlier than previously planned — in an attempt to inject momentum into the climate talks. "His view is that these negotiations can't wait until the last minute. He believes that we have learnt the lessons from the G-20, that it takes leadership to get involved and try to pull together what is required as soon as possible," Brown's spokesman Simon Lewis told reporters in London. Lewis denied that Brown — facing a national election by June — was seeking personal credit if a deal is struck. "He is not seeking to push himself forward, but he has taken a personal view that it is important that, if world leaders can, they should get there early," the spokesman said. Earlier Monday, British Climate Change Secretary Ed Miliband said it's up to him and his counterparts in Copenhagen to help bridge that gap between rich and poor countries and "not to leave everything" to the 100 world leaders who start arriving Wednesday. "There are still difficult issues of process and substance that we have to overcome in the coming days," Miliband said. "Can we get the emission cuts we need? We need higher ambition from others and we will be pushing for that." Meanwhile, police were on the lookout for new protests in the city center, where more than 1,200 people were detained this weekend. Almost all of them were released after questioning. About a dozen were arraigned on preliminary charges of assaulting police officers or carrying box-cutters or other sharp objects. There were sporadic reports of vandalism across the city overnight Monday. Police spokesman Henrik Moeller Jakobsen said 12 cars had been set on fire including three vehicles belonging to Danish power company Dong Energy. Vandals also smashed windows and threw red paint at the headquarters of the Danish Immigration Service. It was not immediately clear whether those attacks were related to the climate conference. Thats a very good question Blue.. I received an email from a mutual friend of mine & the GT Admin's I see its not posted in the View From the West area so I might as well post it here as it fits right in. I'm no longer offended,my reaction has turn to pure RAGE as I watch the environment ministers for Quebec and Ontario seek to further divide this country at Copenhagen. It's bad enough that Miller shoots off his mouth in his criticisms of Canada and its environmental record but to have the other two fools drive a wedge into confederation is virtually treasonous. Quebec,with its wealth of hydro electric power can take the high road and call for further cuts to emissions. Alas they have no more places to cut. They don't have much industry. Ontario is a different kettle of fish. Go ahead you fools make some more cuts. Destroy the industry that's left! Of course all their vitriol is directed at the tar sands. The tar sands that contribute .5% of the worlds carbon emissions. The tar sands which have kept the moribund economies of the Maritimes from completely tanking through dollars sent home by Marimers working there. The tar sands that have keep Quebec's gold plated social programs alive and well through transfer payments. You can bet that when the next set of transfer payments are negotiated,the West will be far less generous,if the country even survives. What the fools in Ontario and Quebec don't realize is that they DON'T need us as as much as we need them. Trade in Saskatchewan and Alberta flows north south,not east west. Oil and raw materials flow south to the USA and west to China, while manufactured stuff comes north from the same USA and east from China. So you tell me what anyone in Calgary or Regina gets from TRANA except a lot of talk about moral superiority and blow back. Of course McGinty is too stupid to see that he may need some of this Westerner cash as the province teeters towards bankruptcy and Charest may live to see some of his social engineering bite the dust and the aggrieved frogs rise in anger. Then we'll see who has the last laugh. Ok listen up you holier than thou types. Here's some stats for ya. In terms of carbon emissions our fair land is ranked 8th and we produce 1.9% of total world's carbon emissions. The only country you can compare us to is Russia in terms of land mass and far flung urban centres. They produce 5.5% of world emissions. So perhaps you'd like to ask the people in Regina and Winnipeg to turn down their thermostats when its minus 35 out there. Or stop importing produce from California and Chile-sure we can lower that some more! Something else that might just interst you, is our ecological foot print. The worst ecological footprint is from the United Arab Emirates. Amazingly the greener than thou Danes came in fourth and Canada was 9th. Now that's nothing to boast about but I sure didn't see any Greenpeace types or Al Gore types protesting about the Emirates. So you guys at Copenhagen keep beating that "dollars for dictators drum" and make all Gore a billionaire after all he did win the Nobel Prize.